Compiled by: Julia Becker, Anna Haffner, Rainer Voßen. Author: Herrmann Jungraithmayr. With an introduction by: Rudolf Leger. 26 pp. Roman, 239 pp. 1983 On mono- and triradicality in early and present-day Chadic – How reliable are reconstructions? 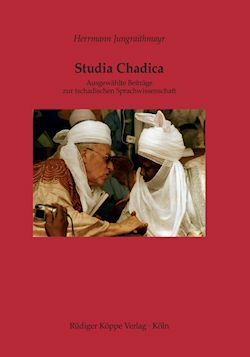 2003 Altrilocality in Tangale and Tuareg – a common heritage feature? Many students and researchers will certainly profit from this reprint of his [H. Jungraithmayr] most important case studies which are scattered in various journals and books.